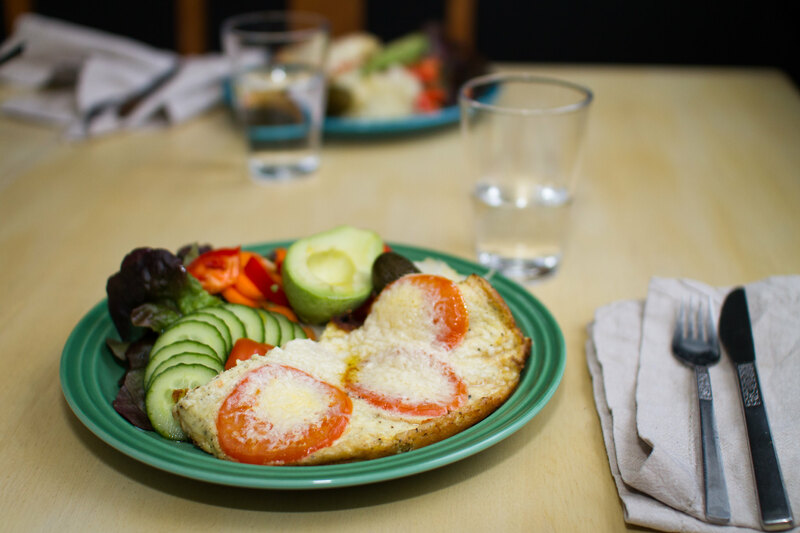 This post shares some inspiration to a more simple dish that is really quick to make, but still delicious. 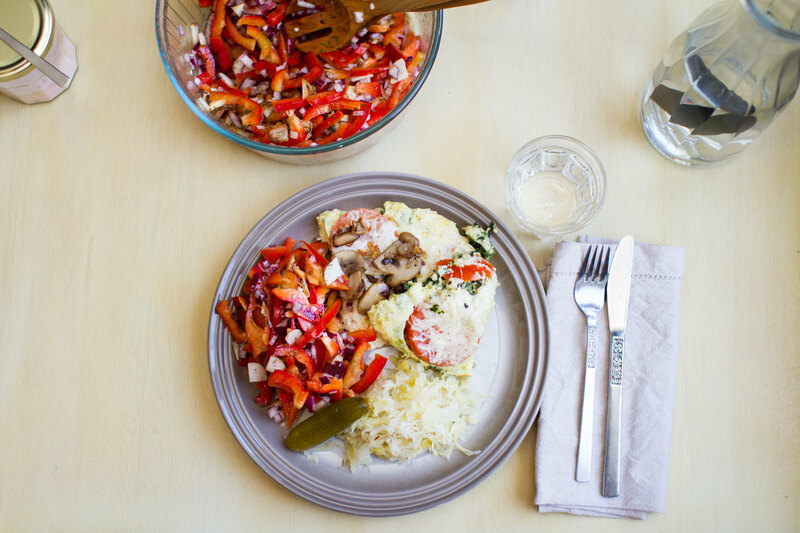 A frying pan omelette filled with yummy vegetables, from the home delivery that we had. 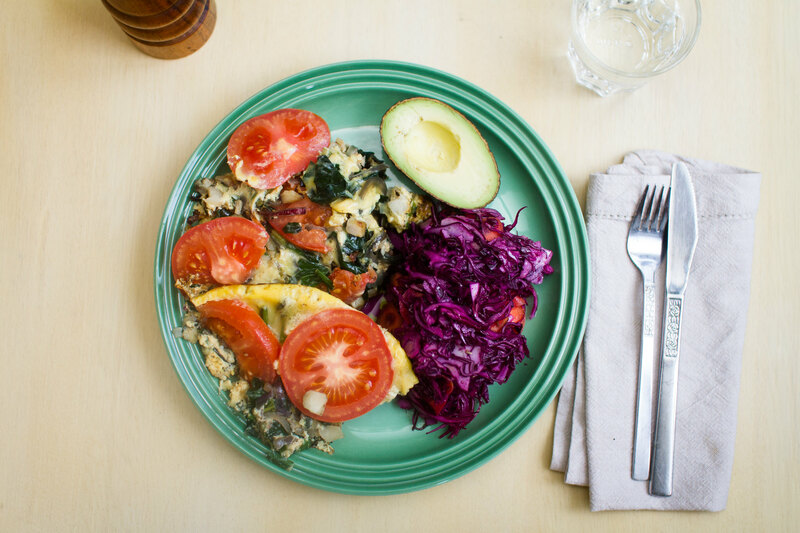 Making a omelette like this is also a perfect opportunity to make use of leftovers. We had some diced turnip with red onion in the fridge that was just perfect to add! 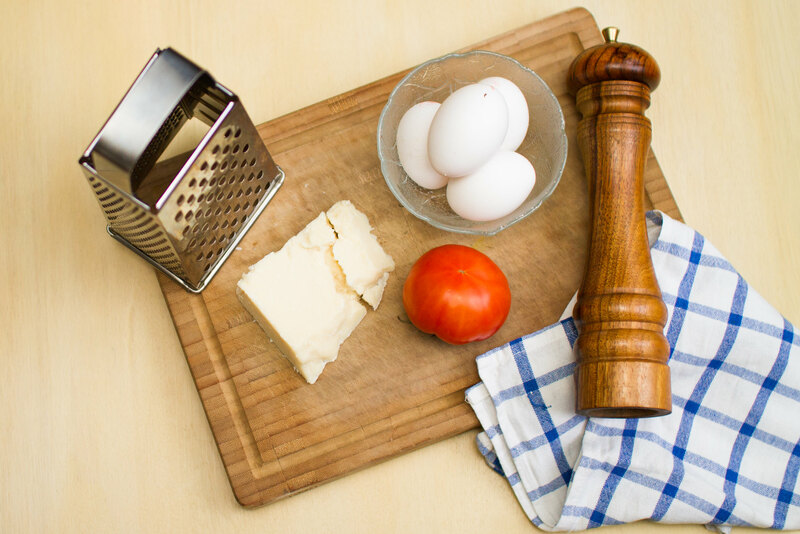 Ingredients used in the omelette. First, carefully brown the sliced onion in a cast iron pan and then add some chopped greens, we had spinach! Also put the leftovers in the pan and let them be warm. 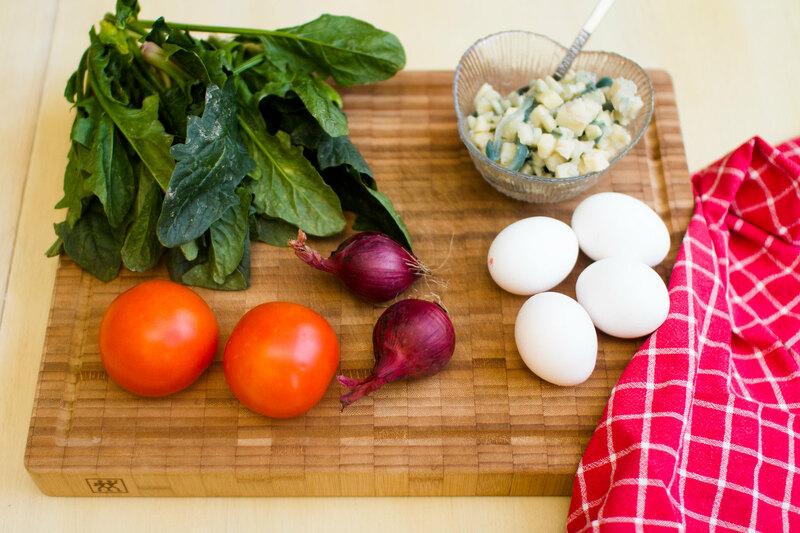 The eggs are whisked together with a small amount of water and then poured over the vegetables. Top everything with pretty tomato slices, salt and pepper! Leave at low/medium temperature until the eggs are cooked. It helps to put a lid over the frying pan. 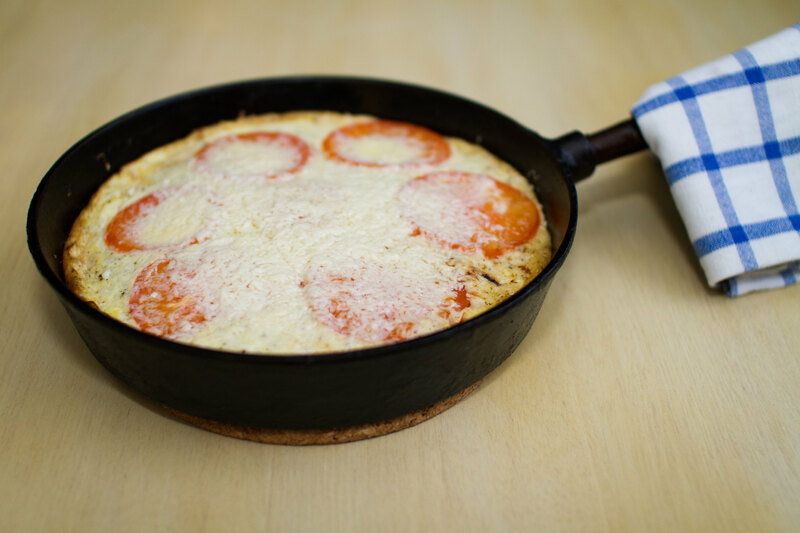 Stuffed omelette in the cast iron pan. Look how pretty it became!? 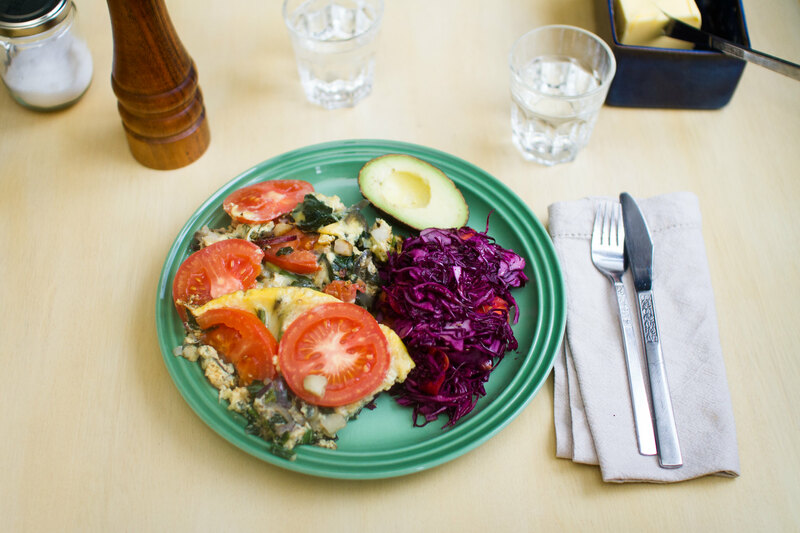 Served with the omelette was a red cabbage and carrot salad and a perfect avocado half. 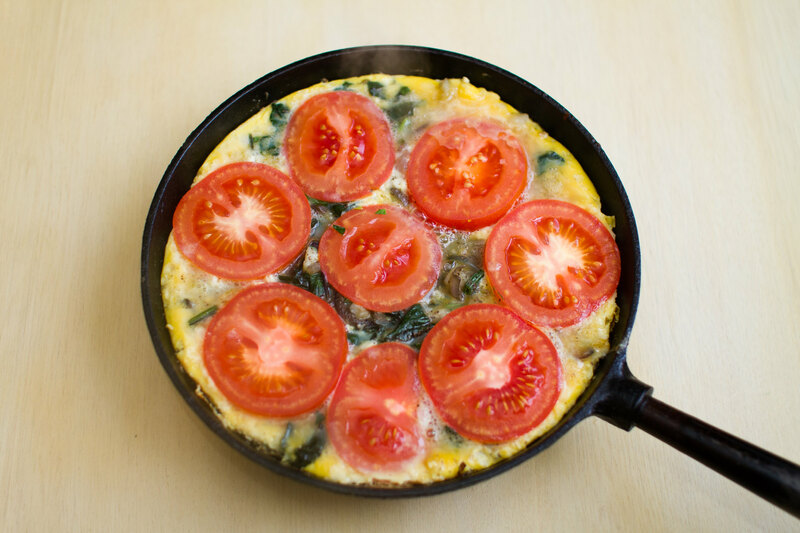 Top the omelette with a click of butter and sprinkle some olive oil on top. Lately we have started to use the service to get food delivered to our home instead of going to the store and pick it up ourselves. It saves so much time and energy to do more fun stuff! 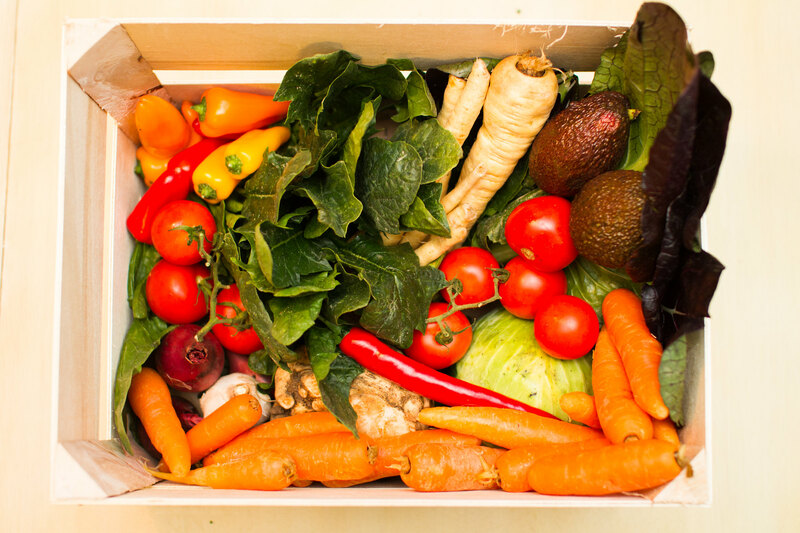 This time we tried out delivery from an all organic vegetable box and was astonished over the freshness of the veggies and the very good assortment that we got. Spinach and other greens, parsnips, carrots, cabbage, root celery, garlic, onion, tomatoes, chili pepper and mini bell peppers. 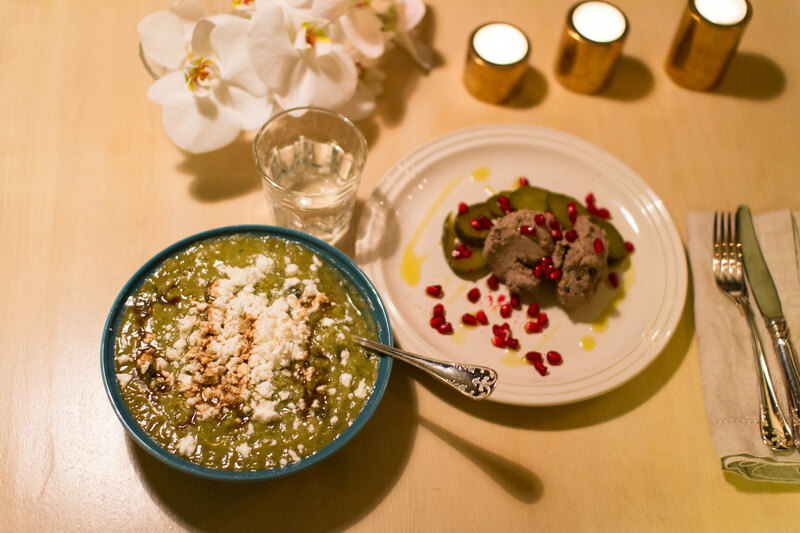 And not to forgot, the two perfect avocados! 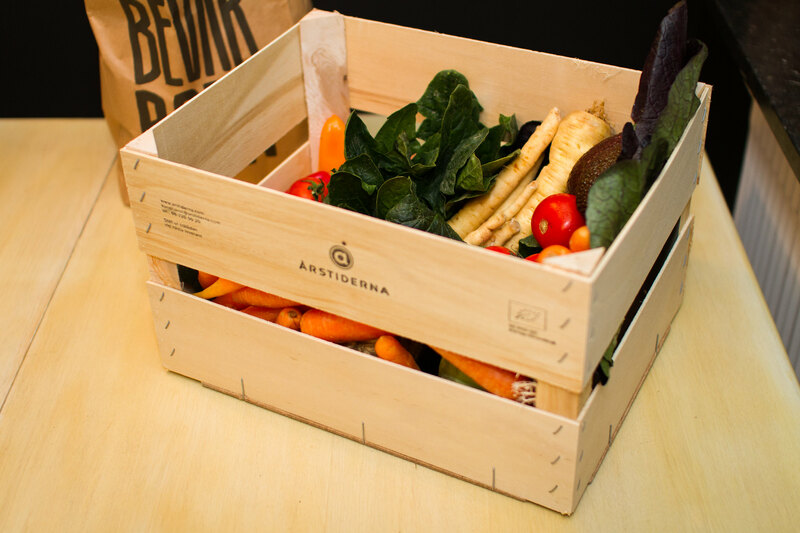 Vegetables delivered in a nice wooden box. It’s extra nice that the veggies comes delivered in a nice wooden box, that you return back to the delivery man next time. We have chosen to have a box like this delivered once every second week for now and complementing with veggies from FRAM when needed. Welcome gifts with the first delivery. Since it was our first delivery we got a nice welcome package with the box as well. 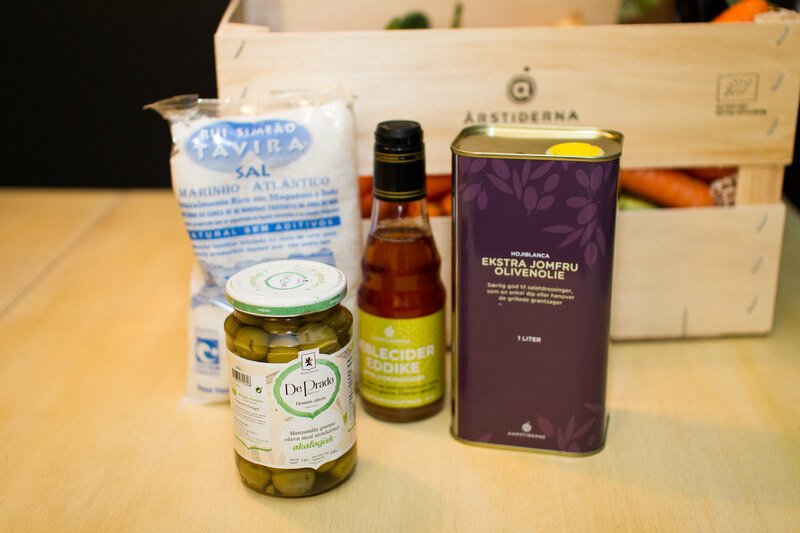 Sea salt, olives, apple cider vinegar and a really tasty olive oil! 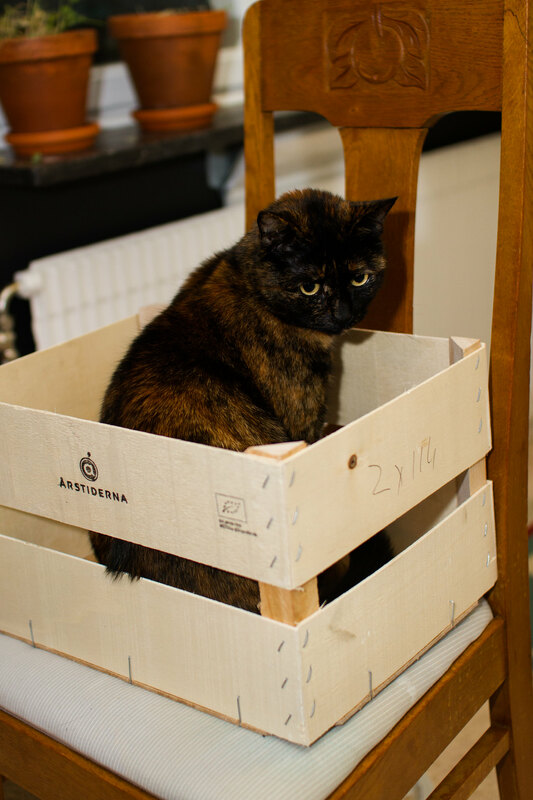 Later Oliva enjoyed the box as well. Boxes are the best thing in the world! This is a simple and quick dinner for a weekday, or the weekend if you´re busy with other things than cooking… A meatloaf of minced venison meat and rice made of cauliflower, turnip and carrots. 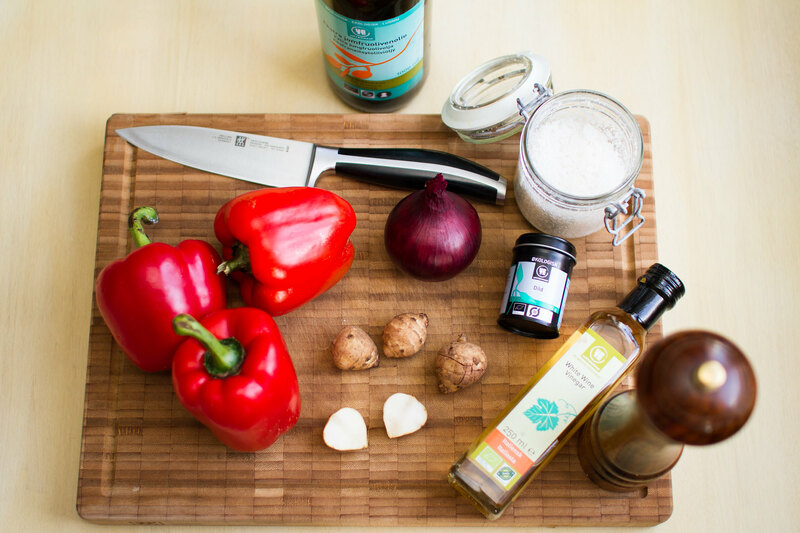 Find out the tasty seasoning below! Venison meatloaf served with vegetable rice. The meatloaf was seasoned with estragon, green pepper, dijon mustard and red onion. Dijon mustard and estrogen is such a nice combination that also goes very well together with red onion. Make sure to use a lot of seasoning since the venison meat is almost fat free and therefore requires some extra. 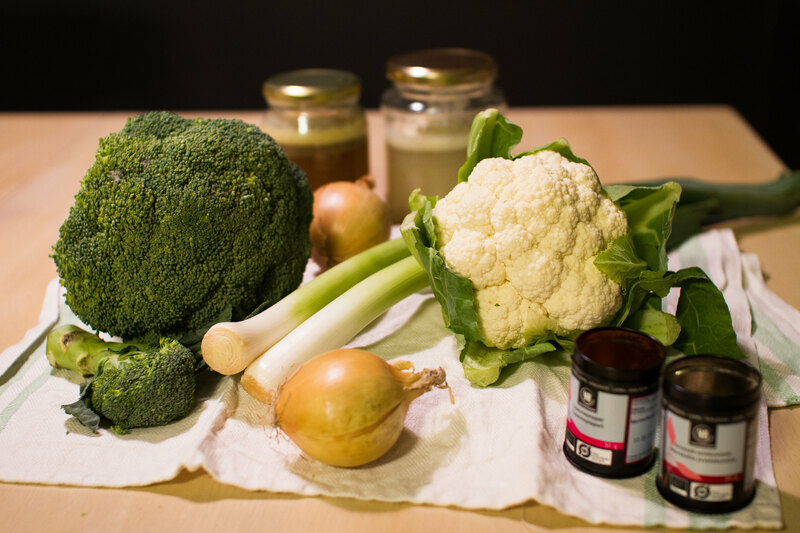 Ingredients used for the dinner. Work all the ingredients into a loaf in a oven ramekin. I used the cauliflower leaves to decorate around it, eatable decoration! Since there is no fat in the meatloaf I topped with some lard as well. Place in the oven at roughly 175°C and don’t let it go for too long since it will become dry. The core should be slightly pink. Meatloaf with lard before going into the oven. 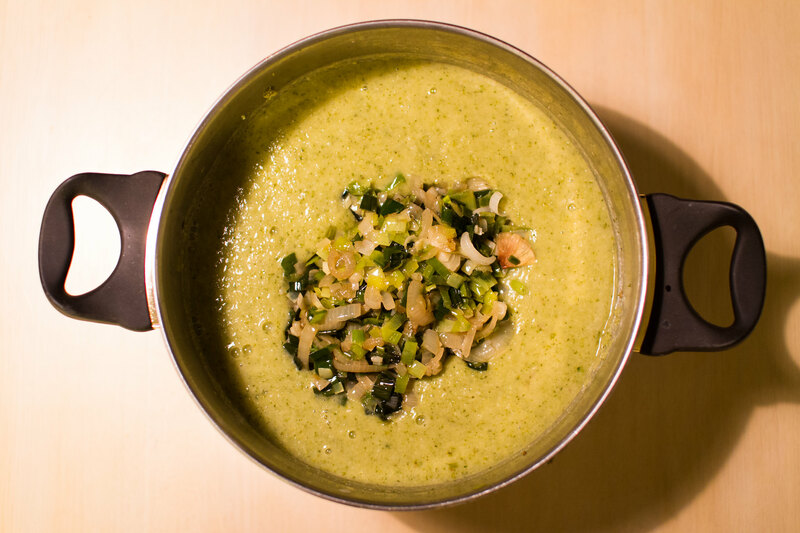 The vegetable rice is very simple made with help of a kitchen mixer. Use the “S-blade” to shred the cauliflower and the grater plate for the carrots and turnip. Quickly steam it in a pot to soften it slightly. 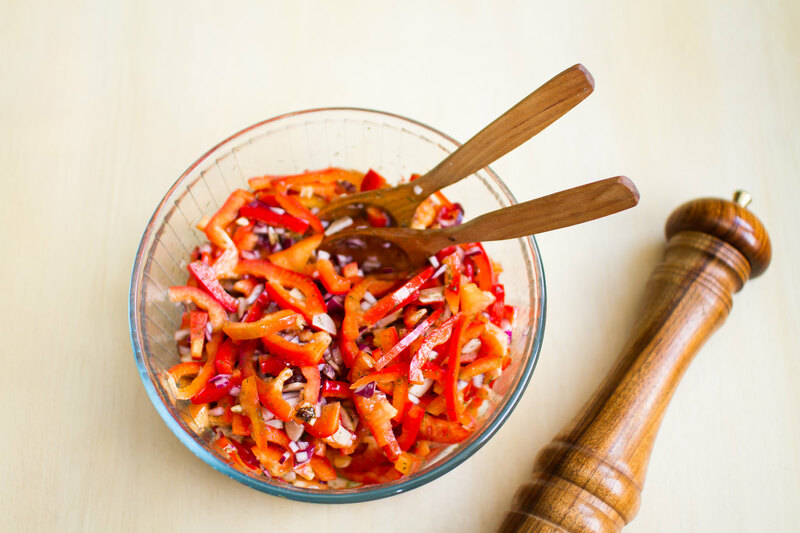 Make sure to add some acidity to the rice when serving, for example white wine vinegar, which makes it really fresh. Also top with a click of butter! 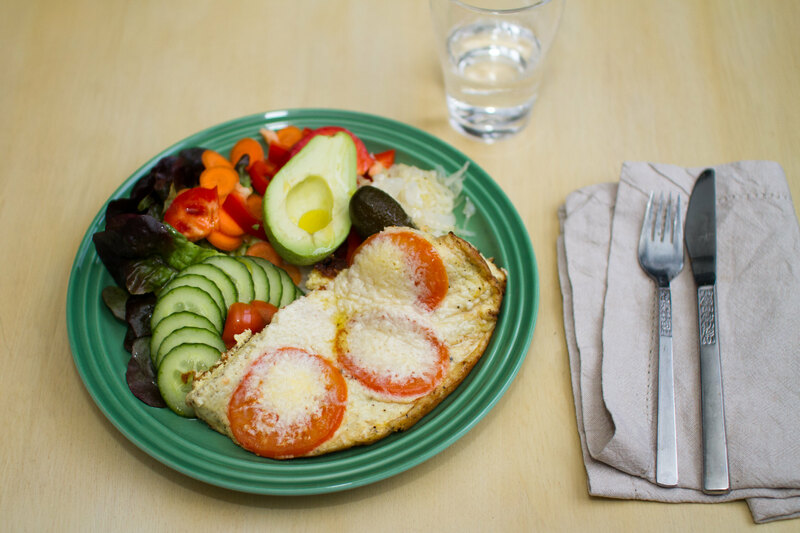 A nice paleo, low carb dinner! Sometimes it can be hard to decide exactly what to have for dinner and one solution can be to have a mix of different vegetables to make it more festive together with a piece of meat. Dinner with ribs and vegetables. For this dinner we made a raw salad with red cabbage. The cabbage is shaved in the mixer into thin pieces and turned together with salt, pepper, turmeric and ginger powder, coconut vinegar and olive oil. So many good nutrients and colors in there! 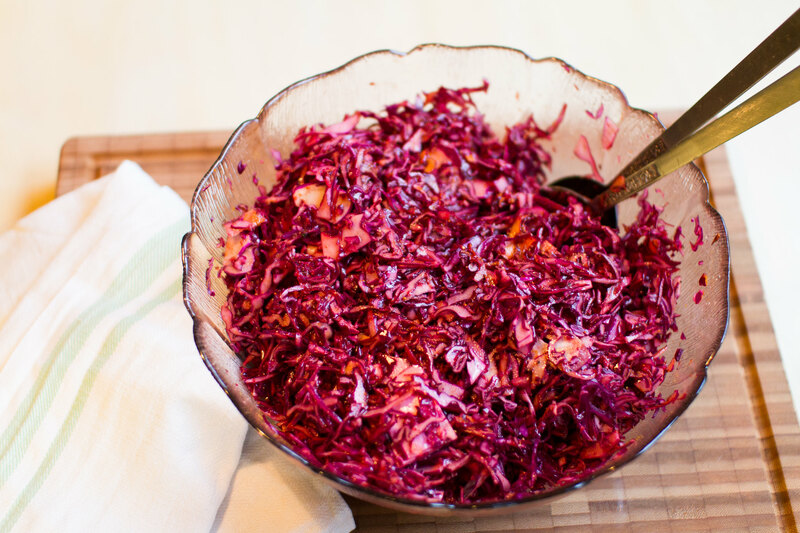 Red cabbage salad with ginger and turmeric. 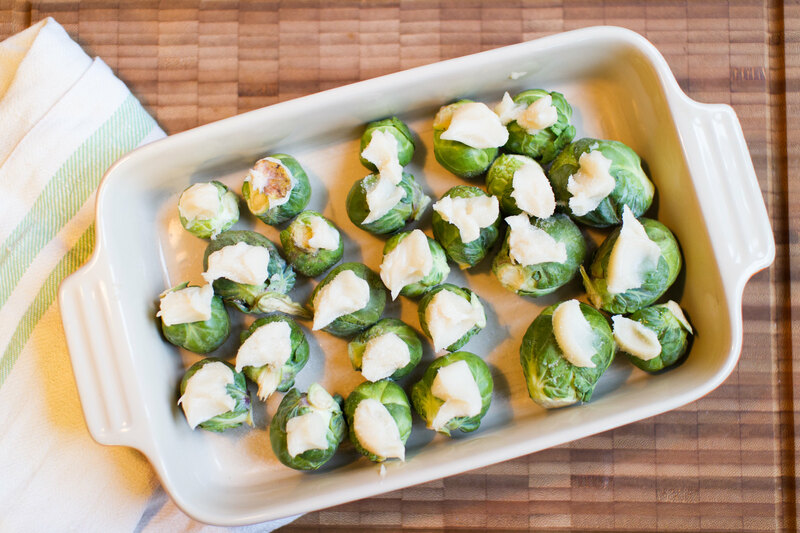 Some brussels sprouts was found in the fridge as well and the best way to cook them must be to roast in the oven, right? Especially with some nice home-made lard on top. And to add some extra color and texture to the vegetable collection some red beets and winter squash was roasted in the oven together with the brussels sprouts. The squash was sliced in two halves, with the shell remaining, and put into the oven with the flesh side upwards. The shell on this variant is too hard to be able to eat, but it is very simple to release the inner flesh from it so there is no point to remove the shell before cooking it. 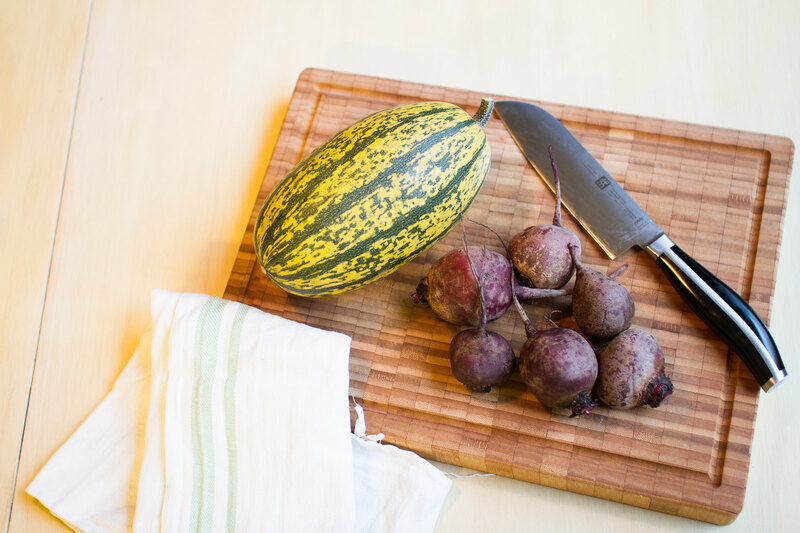 Winter squash and red beets. The ribs was seasoned with dried oregano, chili powder, chili flakes and salt and pepper. So tasty! And using a chili of good quality makes all the difference in taste. 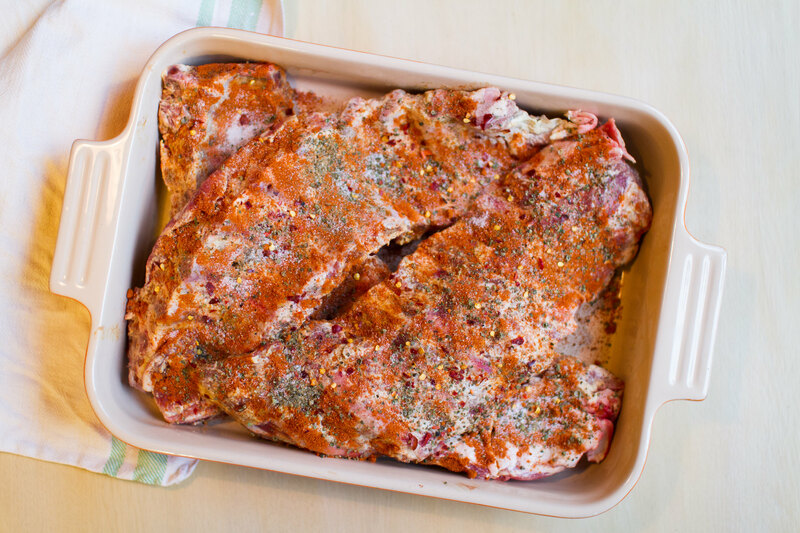 Ribs seasoned with oregano and chili. 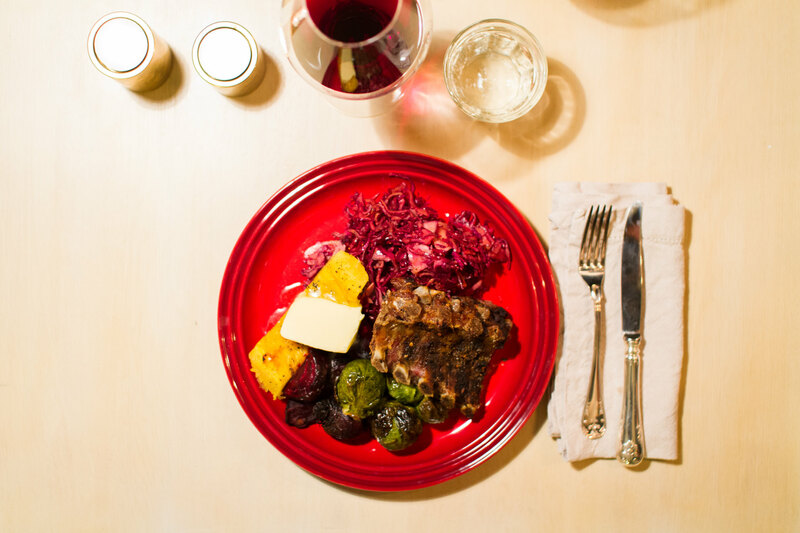 The final plate was served with a click of butter on top of the warm veggies and a nice glass of red wine. It requires a bit of work to prepare all the vegetables, but help each other out with it. 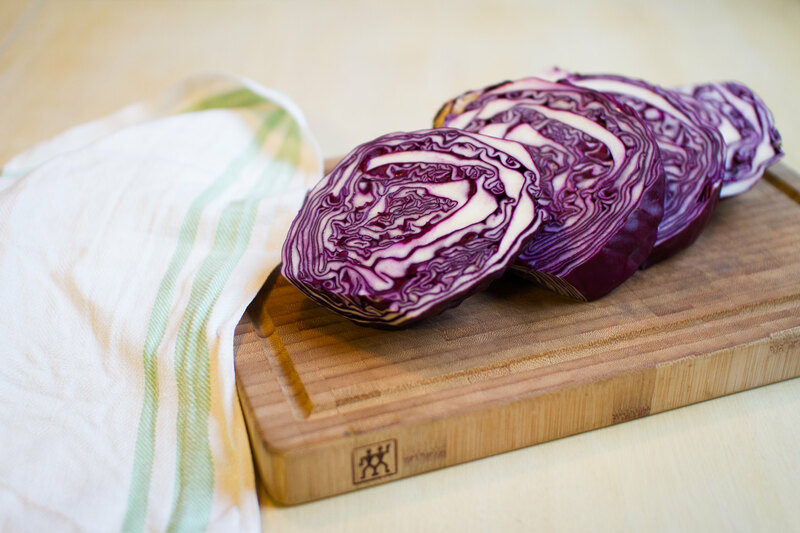 And the red cabbage salad can of course, and probably should, be made in advance! 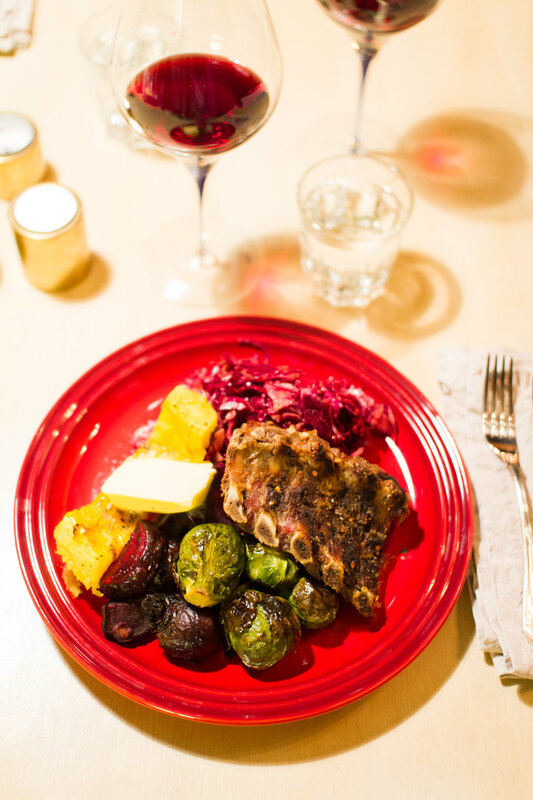 Paleo dinner with a glass of red wine.